Working with an international team can be a highly effective way to bring new ideas and innovation to your business. However, the U.S. style of doing business may not bring about the results you desire when working with a team in Mexico, Colombia or Argentina. Each country requires a unique form of communication to reach an understanding with your team. Even when working with teams in one region like Latin America, business practices can vary significantly between countries. Effective cross-cultural business relationships require sensitivity, time, flexibility and trust. That being said, you still need to hit deadlines with your projects and reach agreements quickly when you meet with your team abroad. Whether you are outsourcing or working with a staff augmentation partner, establishing open lines of communication is crucial to collaborate on multiphase projects like software development or UI/UX design. Here are a few tips for achieving more fluid collaboration and communication with a Latin American business partner. While many North Americans see Latin America as a monolithic continent, the region is far from homogeneous. The typical anecdote to prove this point speaks of a European businessperson who spent months polishing his Spanish to try to build a business partnership in Brazil. The ridiculousness of this anecdote still rings true in many ways, although an international or outsourced team in Latin America will likely speak English now. Nonetheless, the language barrier is not the only distinguishing factor between countries in Latin America. Depending on the country in which you work, business meetings may look very different from how they operate back home. For example, in Argentina it’s important to both greet and say farewell to each person individually and most meetings start with a personal conversation updating colleagues on hobbies, interests and family life. For many business people in the U.S., these steps might seem unnecessary, intrusive or a waste of time. In fact, in other countries such as Chile and Panama, many partners would prefer to get straight to the point, as well. Unfortunately, few rules apply to the entire region. In general, Latin American partners prefer to get to know you before getting down to business. Take the time to introduce yourself properly and even share a few personal details (if you feel comfortable) to build trust with your local partner. 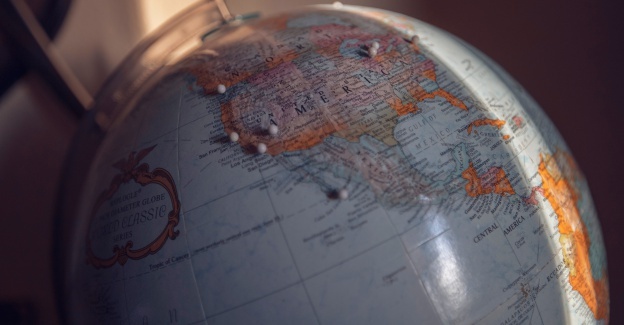 If you are looking for insights on a specific country, check out blogs from other expats working in the region such as Nathan Lustig or Lisa Besserman. When you are working with a new partner or team in Latin America, few people will expect you to be able to explain complicated technical terms in Spanish. However, it is a sign of respect to speak the local language even at a basic level to show an interest in two-way collaboration. After all, your Latin American team or partner has probably put a lot of effort into learning English so they can communicate with you. Eric Ruiz, a Mexican-American entrepreneur and strategist for Waze, received a standing ovation the first time he gave a presentation in Portuguese in Brazil. Even a few words of Spanish or Portuguese can go a long way in winning new business partnerships and proving that you are committed to the project. You may not be able to travel to Argentina or Colombia every time you want to talk to your business partner abroad, but technology has made it simple to get in touch from anywhere in the world. Business meetings in Latin America tend to depend on personal interactions and face-to-face communication, which could mean that weekly phone calls may begin to feel very impersonal to your Latin American partner if they happen all the time. So be sure to at least occasionally meet using Zoom or Appear.In so that your communication is more personal. Not only does video chat make it possible for you to read your partner’s body language, which can be even more telling than their words, but it also opens a more personal line of communication that will build trust and improve collaboration in the long term. While an in-person meeting will almost always be the most effective way of communicating with a Latin American partner, you can’t visit every time you need to resolve an issue. Use video calling when possible to enable you to communicate adequately with your local partners in Latin America. When you are doing business in Latin America, whether it’s outsourcing or working with a business partner, you may need to adjust your communication methods to explain your vision and strategy adequately. While many Latin American developers and technology teams will be accustomed to U.S. business methods, even small adjustments, such as meeting face-to-face to start a partnership or learning a few words of Portuguese or Spanish, can go a long way in improving collaboration with your team. Taking the extra time to chat about family or soccer might make your meeting last a few more minutes, but it might also mean more open and better collaboration in the long term.